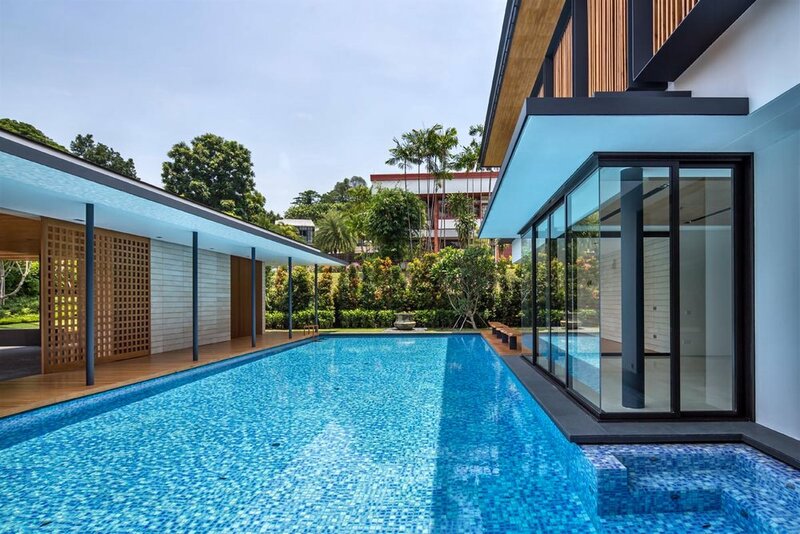 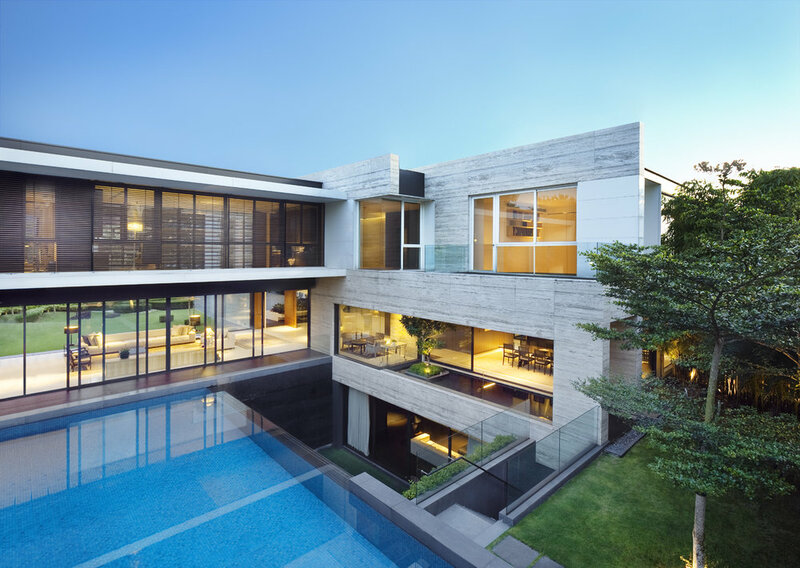 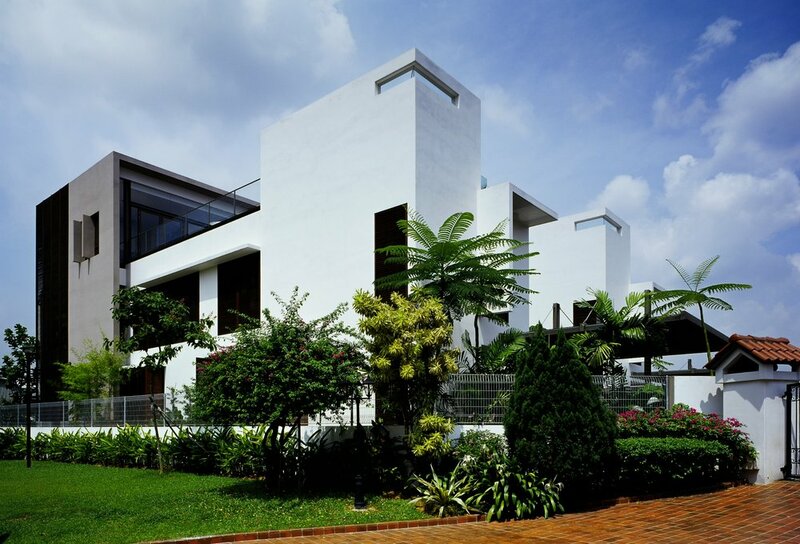 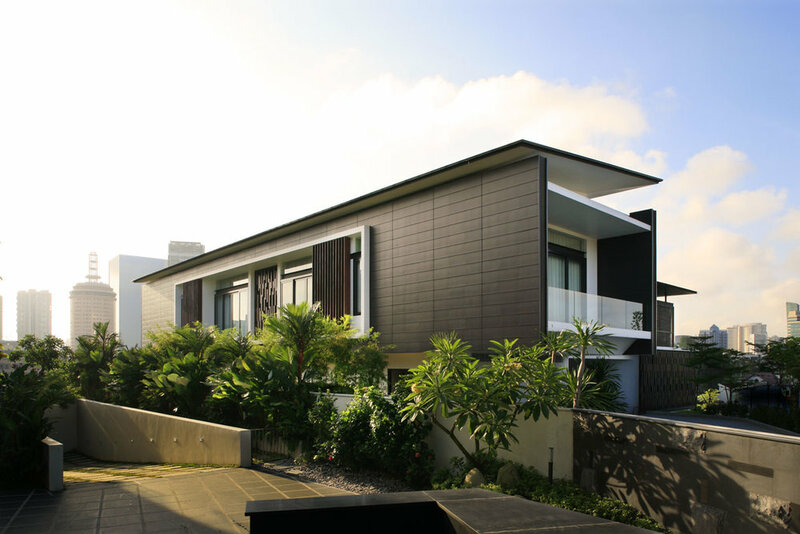 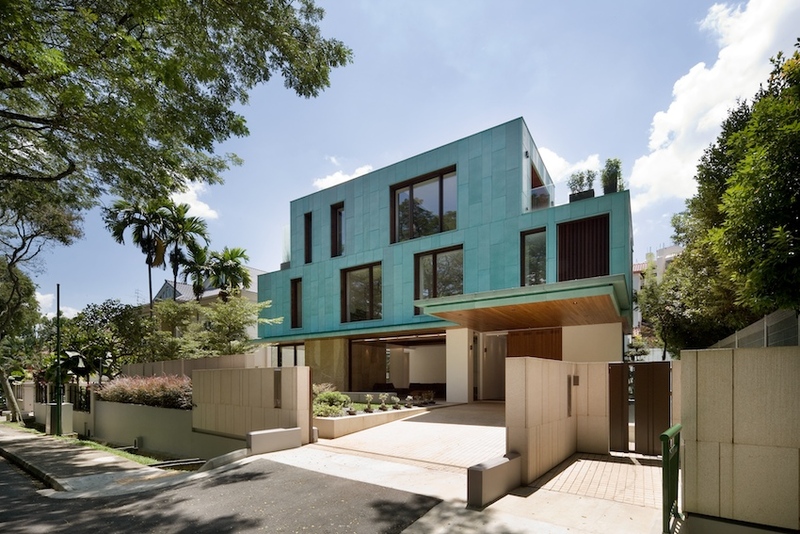 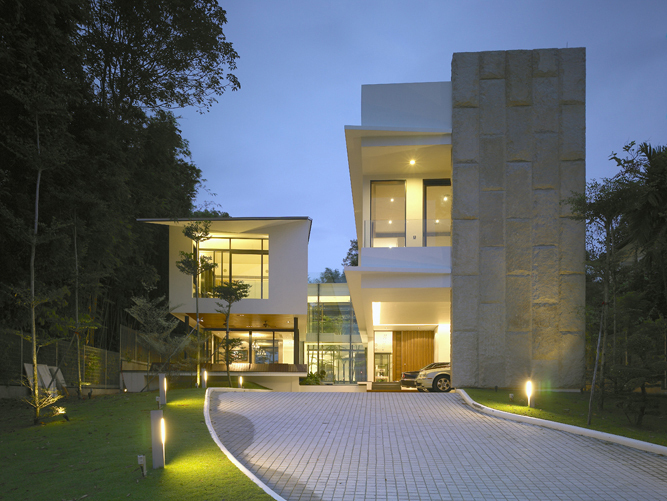 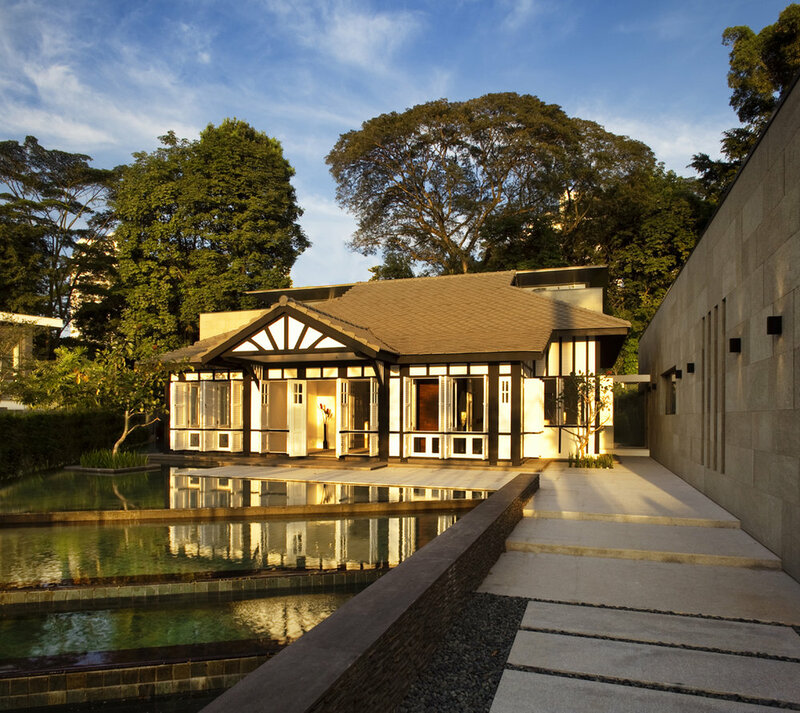 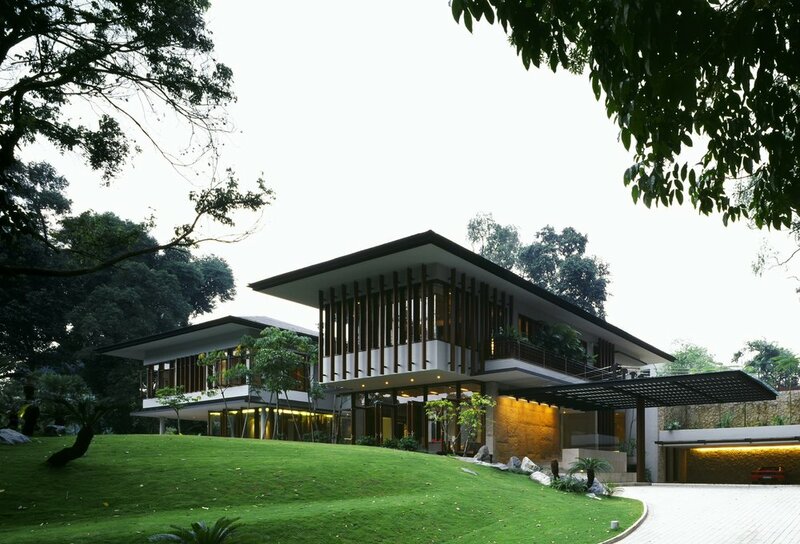 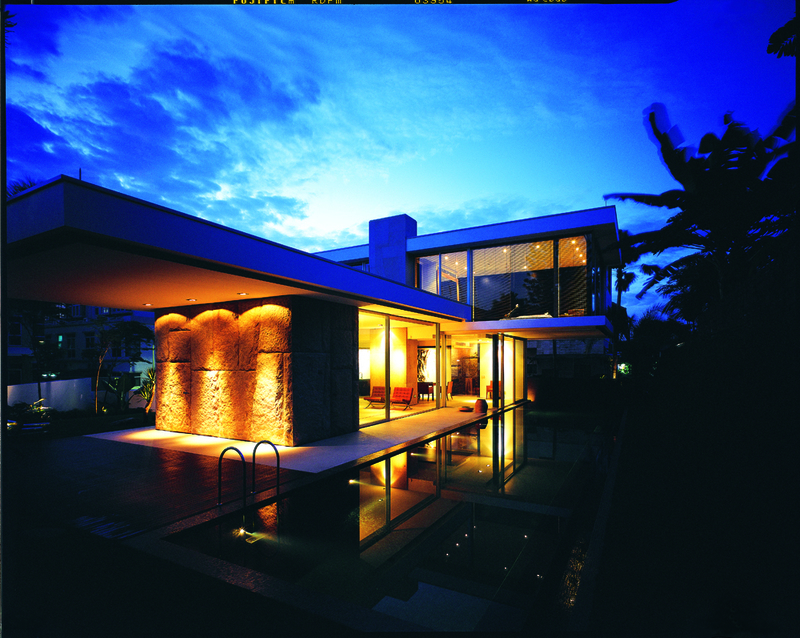 This house is one of several privileged residences perched on the slope next to the only hillside golf course in Singapore with the advantage of a beautiful view of the downtown skyline. 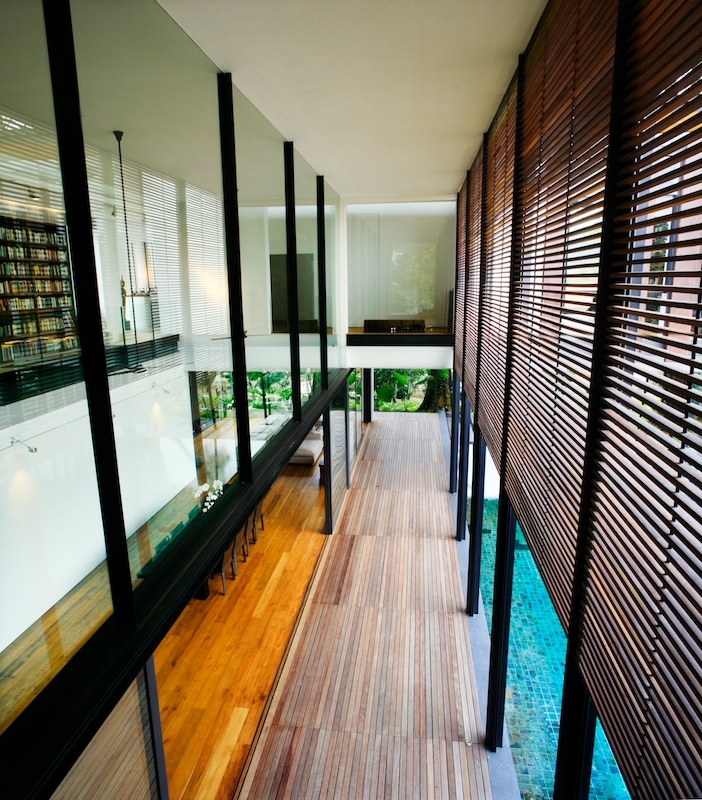 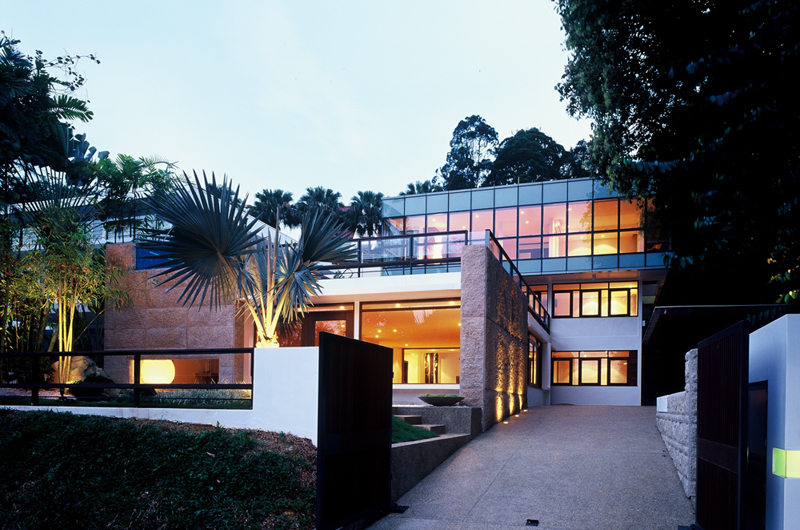 The Hillside House distinguishes itself from its neighbors with a unique architectural expression. 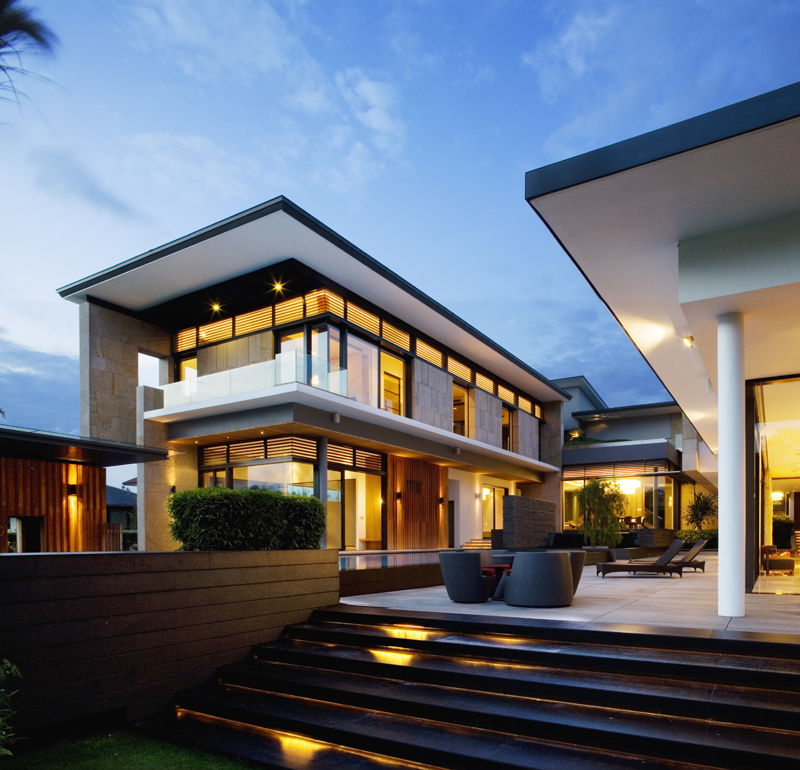 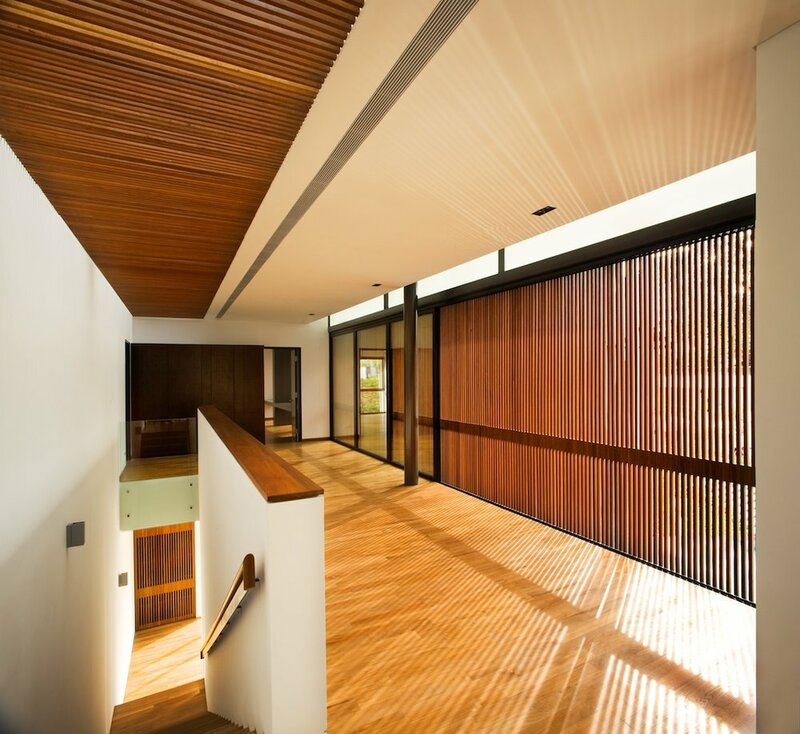 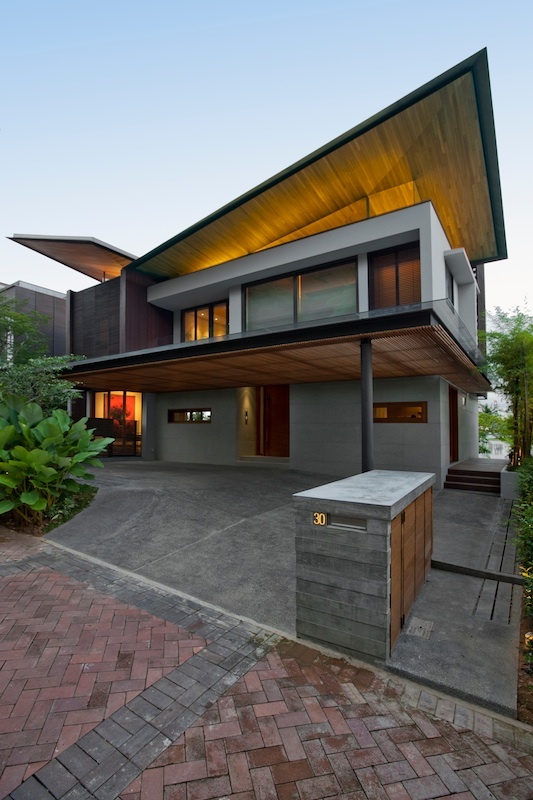 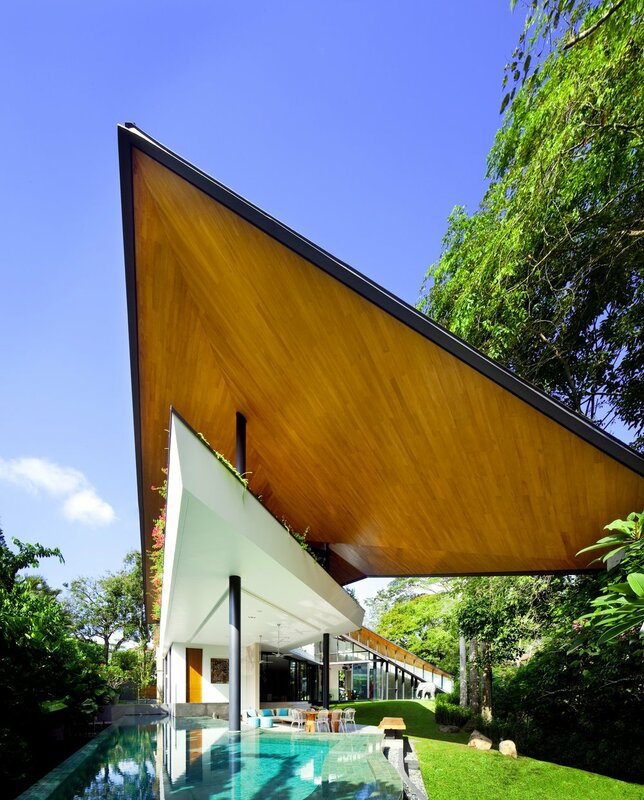 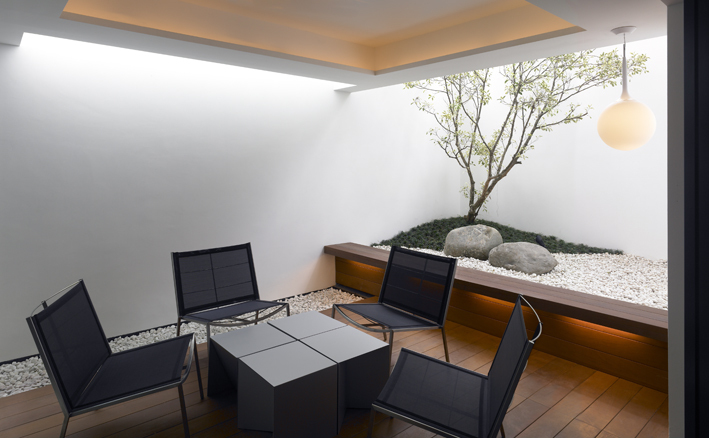 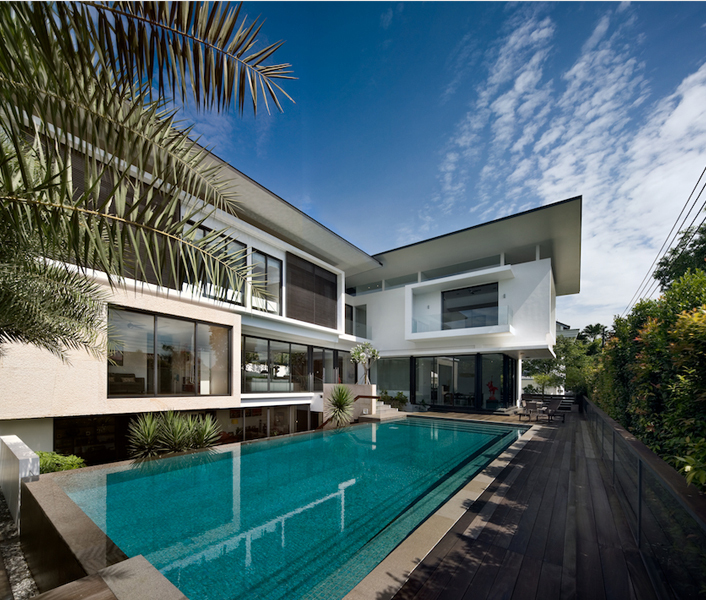 2 diagonally folded pitched roofs floating above the mass of the house hover and take flight with an air of lightness. 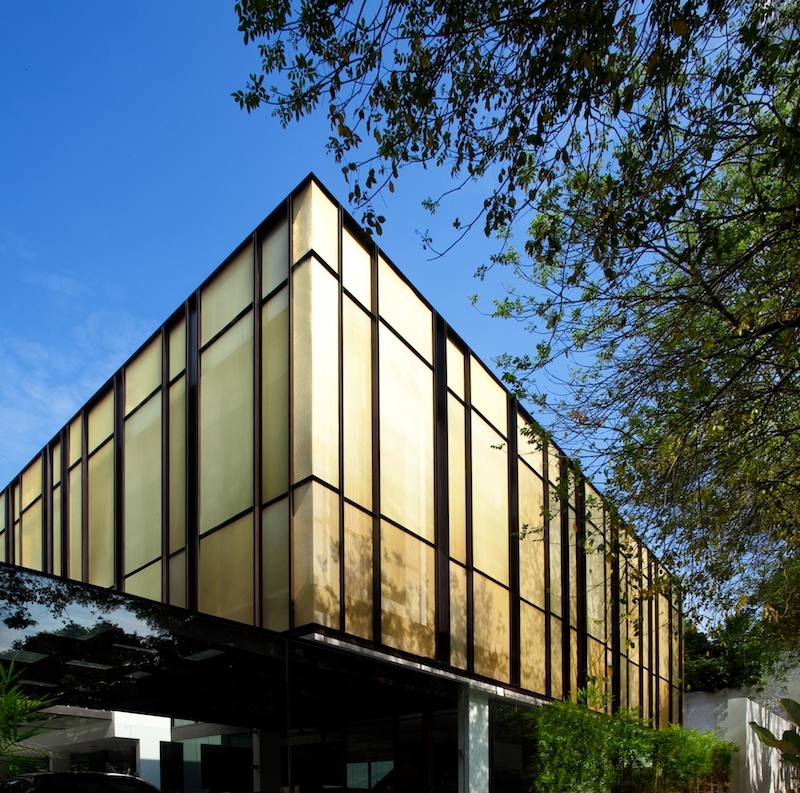 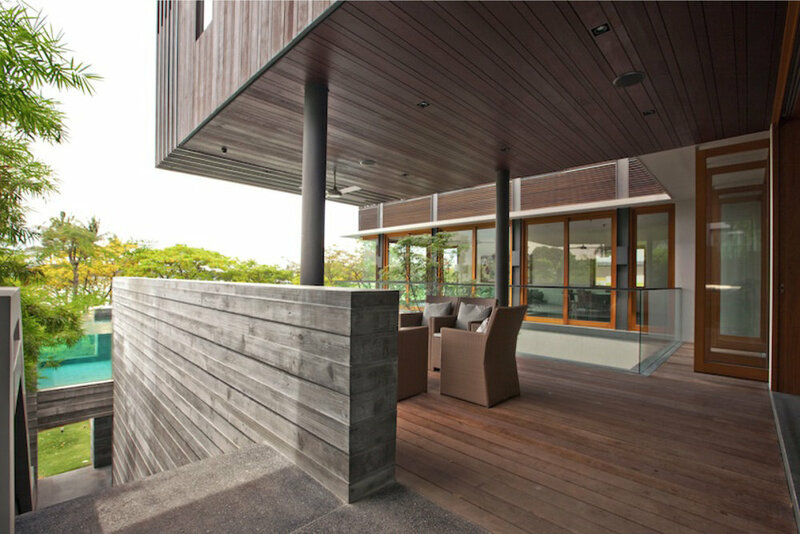 Come evening, the golden teak color of the underside of the roof blends seamlessly with the rich color of the setting sun.